There’s been a lot of discussion recently about changing up the mascot. While there have been many suggestions for a new mascot, Sabrina has been put forth a number of times. 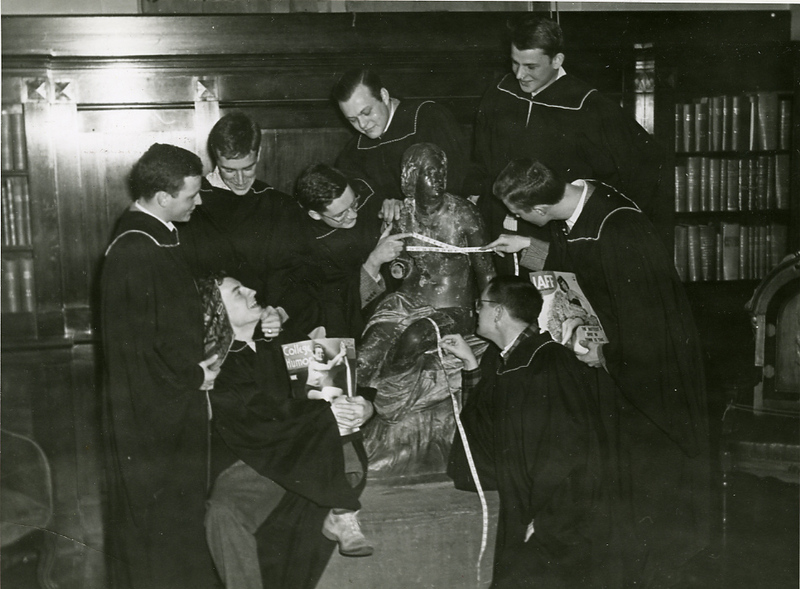 As a campus presence since 1857, in the form of statue, humor magazine, a capella group, team nickname and legend, Sabrina makes a certain kind of sense as a mascot; in some ways she’s been serving as one for quite some time. However, I’d like to strongly suggest that, on a campus that has been working hard on sexual respect, perhaps a statue of a naked young woman with a 150+ year history of “abduction” and gender inflected manhandling would be a poor choice. Sometimes a manuscript collection means more as an aggregate whole than as the sum of its constituent items. To be sure, a single letter, poem or photograph, a single typescript of a scholarly paper, may have its fascinating aspects (the kind of thing we celebrate frequently in this very blog). It may provide informational value that leads to that “Aha!” moment of discovery or confirmation. Naturally, these are experiences we savor as archivists, and enjoy seeing in our patrons. But I want to suggest another kind of value that is often at play in a personal archive. Consider, for example, the letters that Charles Woolsey Cole (AC 1927) faithfully wrote to his mother over a period of 32 years (1921-1953). These letters fill up 191 file folders in his papers. No single letter is individually all that significant. Why keep them? Because, taken as a whole, these letters present imposing evidence of something significant: the relationship of an American economist, educator and college president to his mother. Archives, whether they be administrative records or personal papers, provide us with evidential value as well as informational value; one can “read” an archive just as one can read a letter in that archive. That is, the archive itself can offer up a wealth of information about habits, customs and practices of the person or people who created it. 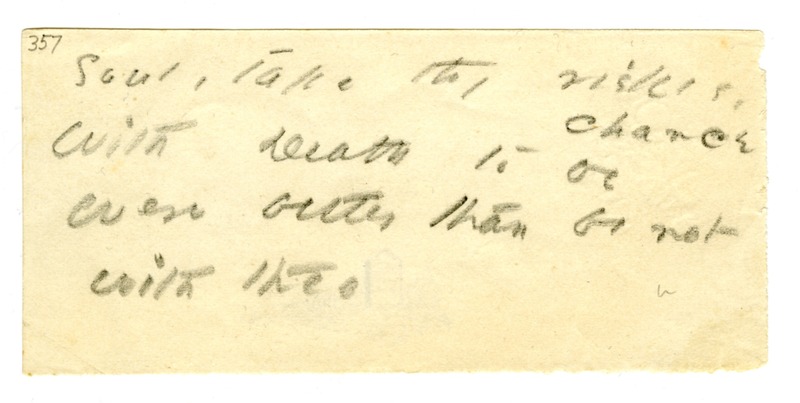 We are delighted that so many people are using the Emily Dickinson manuscripts we made available through Amherst College Digital Collections. Over the past six months we have digitized other materials from the Archives and are pleased to announce that hundreds of new digital images have been uploaded and are now available to researchers the world over. The development of Amherst College Digital Collections — ACDC for short — is a highly collaborative process. We work closely with the good folks in the Frost Library Digital Programs and Technical Services departments, and Amherst’s Information Technology to identify materials, image them, provide useful metadata, and get them uploaded to ACDC. The latest additions come from a wide range of collections in the Archives, including some great material from Dickinson’s contemporaries Edward and Orra White Hitchcock. 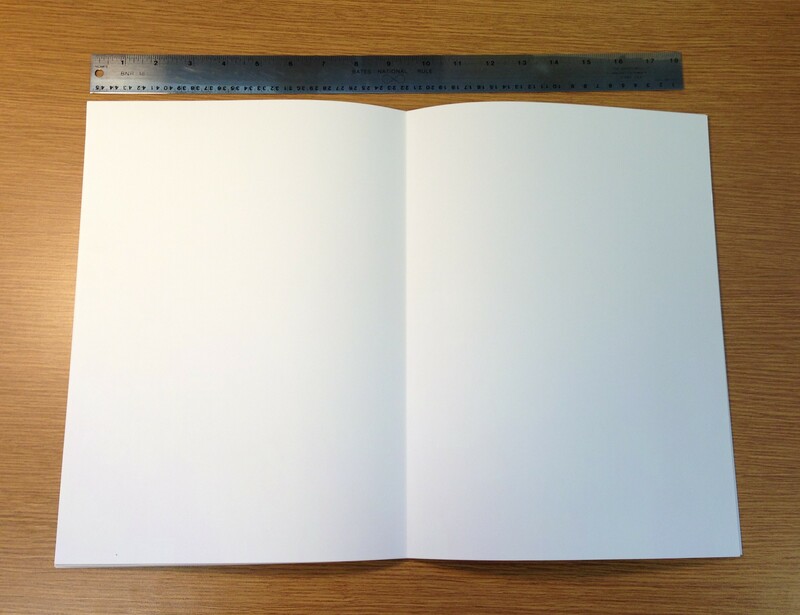 All the pages are blank! As we have seen before on this blog, artists’ books come in all shapes and sizes. We even hold a copy of the world’s largest magazine issue. So anything is possible. 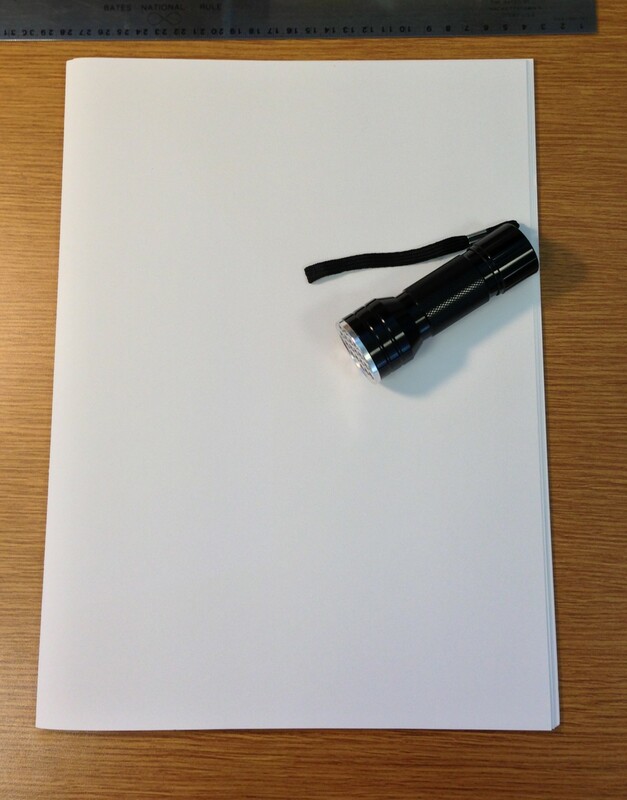 But then I saw the small accessory that accompanies the book – an ultraviolet flashlight!